Nearly every organisation today uses analytics, but not every organisation is getting as much out of its analytics as it should be. So, how do you truly excel with analytics to deliver the best support for decisions? 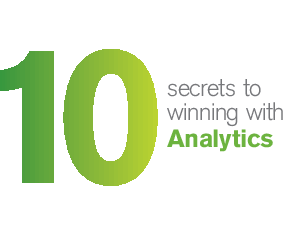 This white paper provides 10 tips for ensuring a successful analytics strategy, download now to find out more.